Shiny, natural-looking nails with a simple push of a button. An easy-to-use system–inserts attach easily to the device. Three inserts included to file, buff, and shine nails effortlessly. Buff away hard skin in minutes for smooth feet with the Amopé Pedi Perfect Extra Coarse Electronic Foot File with Diamond Crystals. Ideal for the safe and professional removal of hard skin from your feet at home. Micralumina replaceable head that is extra coarse for stubborn, thick hard skin. Battery operated and ready to use – four AA batteries included. Not only can you score the FREE Beauty Bag in-store, but you can also get the FREE Beauty Bag online at Target.com too. Just add 2 Amope Pedi Perfect items into your cart and the FREE Beauty Bag will be added automatically. Target is also offering FREE shipping through 12/25. 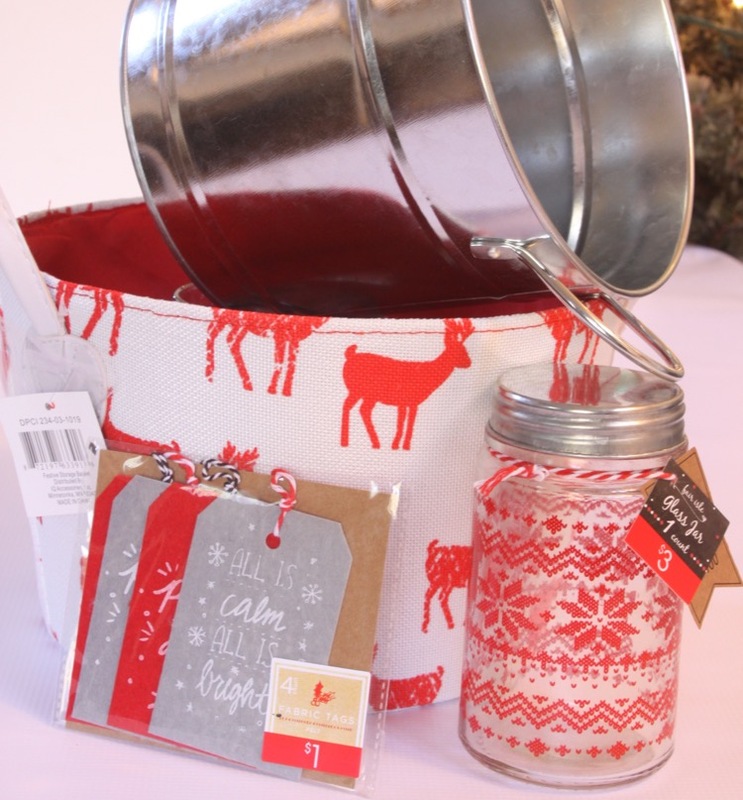 I thought it would be great to gift one of each of the Amope products, so I stopped by the Target dollar spot to find gift baskets, a jar and tags to assemble my gifts. 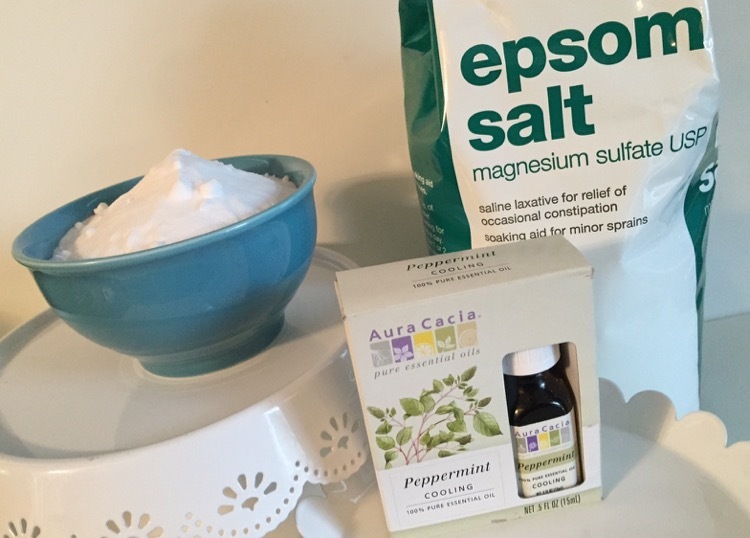 First, I wanted to make a homemade Peppermint Foot Soak to go with the Amope Pedi Perfect Electronic Foot File. I thought it would compliment it perfectly. 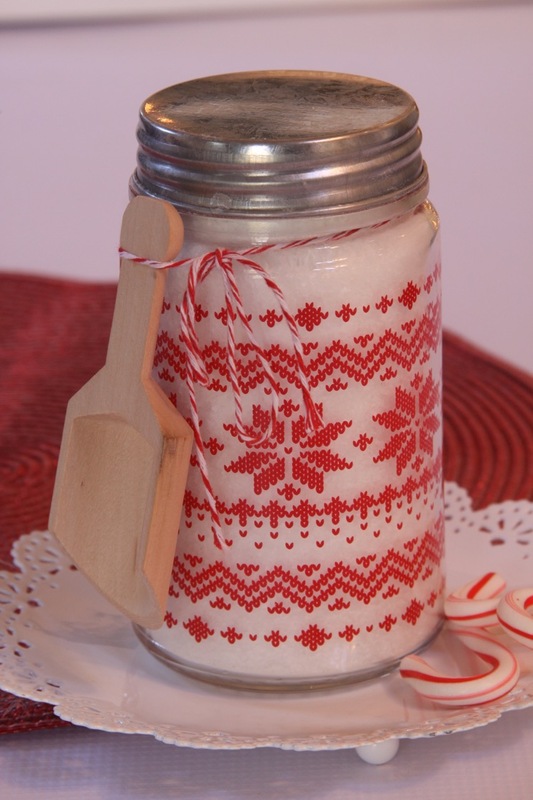 I’m sharing the recipe with you, so you can make some too. It’s super easy! 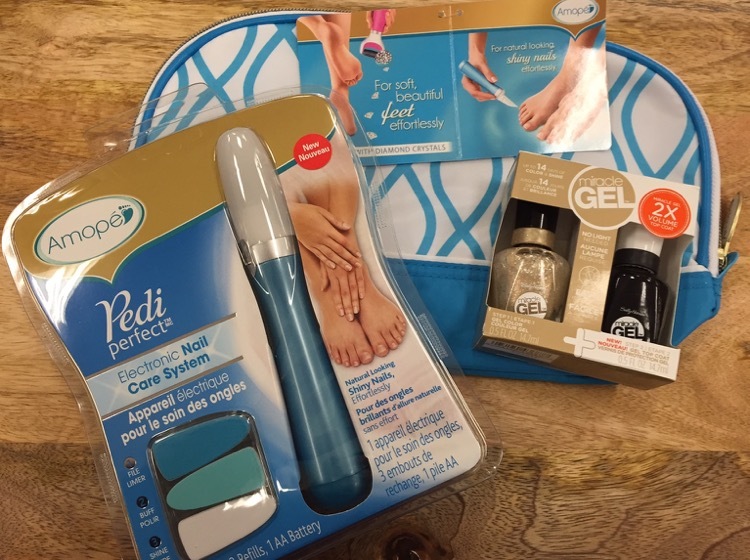 Gift the Amope Pedi Perfect Electronic Foot File with a pedicure kit! In my kit I added the Amope Pedi Perfect Electronic Foot File, the homemade Peppermint Foot Soak and a cozy pair of fuzzy socks. I put everything in basket and added a couple of candy canes for fun. I am very pleased with how it turned out. I know the recipient will love it! She will love how the Amope Pedi Perfect Electronic Foot File will leave her feet feeling luxuriously soft. You can assemble a manicure kit with the Amope Pedi Perfect Electronic Nail Care System. My daughter loves to do her nails so I know she would love a kit just like this. For this gift I chose the Amope Pedi Perfect Electronic Nail Care System, Sally Hansen Miracle Gel set and a pair of gloves. Once again I added all the items into a bucket and I attached a tag. With the Amope Pedi Perfect Electronic Nail Care System they will be able to buff and shine their nails at home. Since you receive a FREE beauty bag when you buy two items you could even gift them inside the beauty bag. 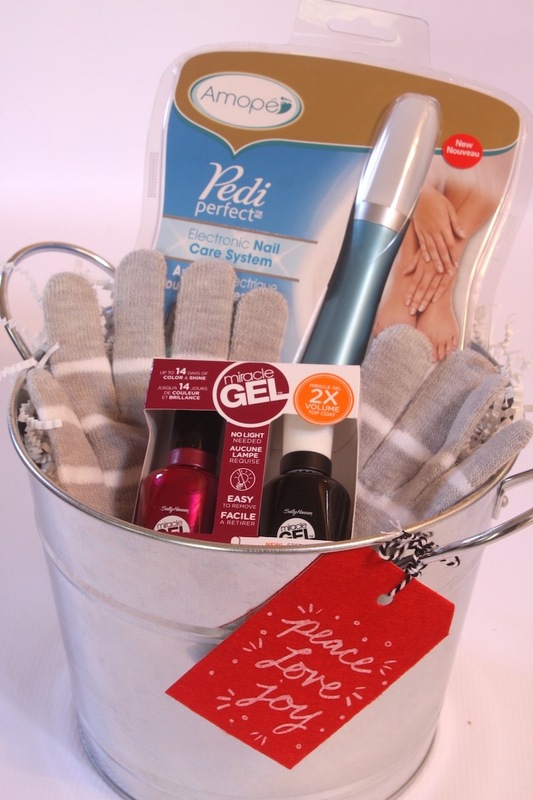 You will find all of the Amope Pedi Perfect items qualify for the gift card offer as well as the Sally Hansen Miracle Gel sets. I’m sure we all have at least one or two people on our list that would love the gift of pampering. This post was sponsored by Amope. All thoughts and opinions are honest and true. I found it at Amazon, I added a link on the post for you.